This week includes charity fundraiser shows by The Queer Songbook Orchestra, The Wooden Sky, the Second City Training Centre, and more. This weekend: a Christmas market in the Distillery District, Santa Claus makes a visit to the Junction, graphic novelist Alison Bechdel does a presentation/book signing, The Wooden Sky returns to Toronto, and more. 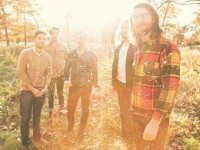 An entertaining mix of folk and rock, the Wooden Sky's newest effort is chock full of thoughtful lyrics, and catchy melodies. 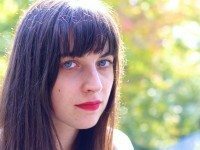 Today in Toronto: the International Festival of Authors kicks off 12 days of literary fun, see a new play about a Thanksgiving dinner, listen to artist David Hockney talk about his iPad and iPhone art exhibit at the ROM, and hear the Wooden Sky preview some new songs at the Dakota Tavern.